ATTITUDES towards immigration and environmental issues are increasingly polarised and interconnected, according to researchers at the University of Helsinki. The researchers examined the responses of candidates in the two most recent municipal elections on the voter guidance pages of YLE, finding that attitudes towards immigration have become more negative among the Finns Party and positive among the Green League. The attitudes are interesting especially because they appear to be associated with attitudes towards inherently unrelated issues. “For example, it can be seen that certain attitudes towards environmental issues are associated with certain attitudes towards immigration issues. When political themes are conjoined in such a way, there will be fewer and fewer themes left where collaboration across party lines is possible,” explained Jan-Erik Lönnqvist, a professor of social psychology at the University of Helsinki. Lönnqvist and his colleagues found that attitudes towards refugees became more positive among all parties between 2012 and 2017, with the sole exception of the Finns Party. Environmental issues, meanwhile, became increasingly unimportant especially for candidates of the populist right-wing party. 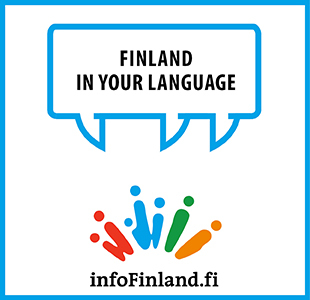 “It is unfortunate that a connection has been created between these issues and that the Finns Party so clearly perceives the Green League as its enemy. We could also have a nationalist, populist party that believes Finnish nature and national landscapes are worth preserving,” said Lönnqvist. The flip side of the growing inter-party polarisation is that internally parties have become more cohesive: today, they have less room for diversity and their new candidates resemble one another increasingly, according to Lönnqvist. The research team also found that the inter-party polarisation has been driven primarily by male candidates.